Herman came into my life my accident. My plans were to have morning tea with my sister and gorgeous little niece. This did happen. But what I didn’t expect was to leave my sister’s house with my very first sour dough starter for my own Herman the German Friendship Cake. Herman is the chain letter of sour dough. A lucky Herman recipient is given a portion of sour dough starter and instructions on how to feed, love and nurture Herman for 10 days. On the tenth day, Herman is split into four portions. Three are given away to new Herman owners to start the process again. The fourth portion is kept to be made into one’s very own Herman sour dough cake or bread. I love the savoury chewiness of sour dough. Ever since reading the lovely Clotilde’s sour dough adventures on Chocolate&Zucchini I’ve been keen to try my own but just a little too scared. 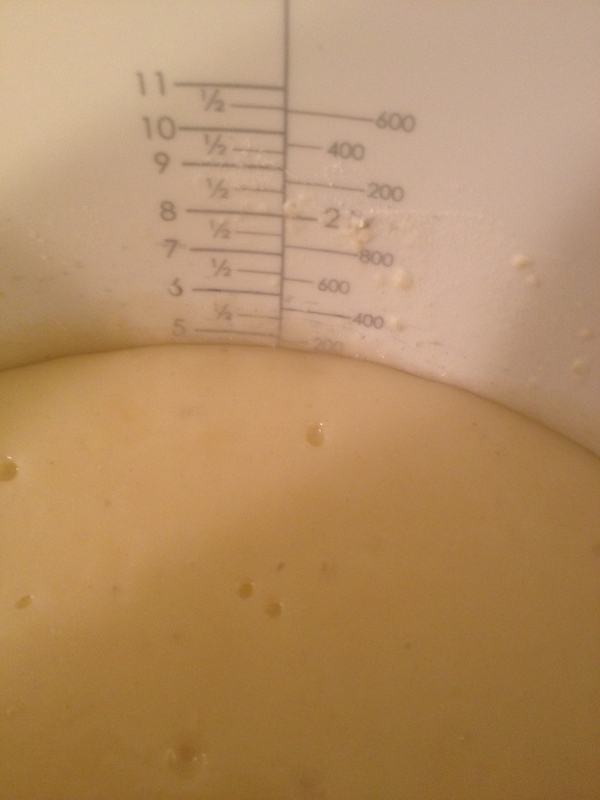 My unexpected acquisition of Herman was just what I needed to kick-start my own sour dough adventures. Herman and I were meant to be. Sour dough starters are rather fascinating. The happy little bugs and bits who occur naturally in flour develop into a culture that will rise dough if they are left for long enough and treated to water, refreshment and the right temperature. And so, Herman took up residence on top of my microwave. Devotedly following the Herman instructions, I heartily stirred Herman each of the first four days. He was developing an interesting bubbly texture. On day four, the instructions informed me, Herman is hungry. Dutifully, I fed Herman (or refreshed him, as it is known in sour dough parlance) with 1 cup of flour, 1 cup of water and 1 cup of sugar. Days five to eight: more stirring. My Herman now had a sticky-looking top and plenty more bubbling. Day nine was a big day. Three quarters of my Herman were packaged up and shipped off to their new homes. It was time to turn my mind to baking for day 10. The Herman website has plenty of delicious ideas for when it’s time to bake your Herman. My sister made the original Herman, and it is indeed lovely. 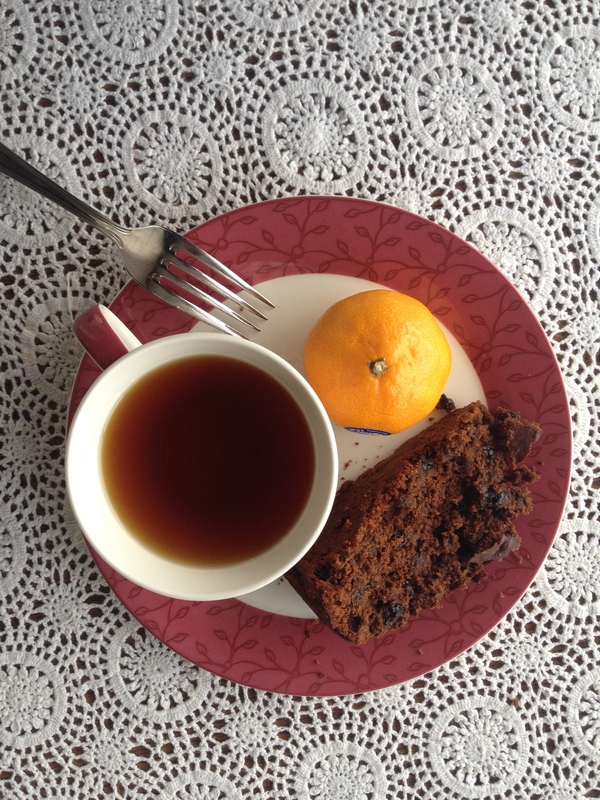 I played around with the original recipe, borrowing heavily from my most favourite Christmas cake recipe, Nigella’s chocolate fruit cake (because why wait until Christmas to make a delicious cake?). Prunes, chocolate, orange and coffee combined to make this Fruit and Chocolate Herman. This recipe produces a dark, dense cake with a pleasant hint of spice. Grease a 23 cm round cake tin and line the bottom. Heat your oven to 180 degrees celsius. Stir the flour, cocoa, baking powder, brown sugar, mixed spice and vanilla essence into your Herman starter, which will be in the large mixing bowl as per the Herman instructions. Add the eggs and mix in. Next, tip in the prunes, raisins, currants and cranberries. 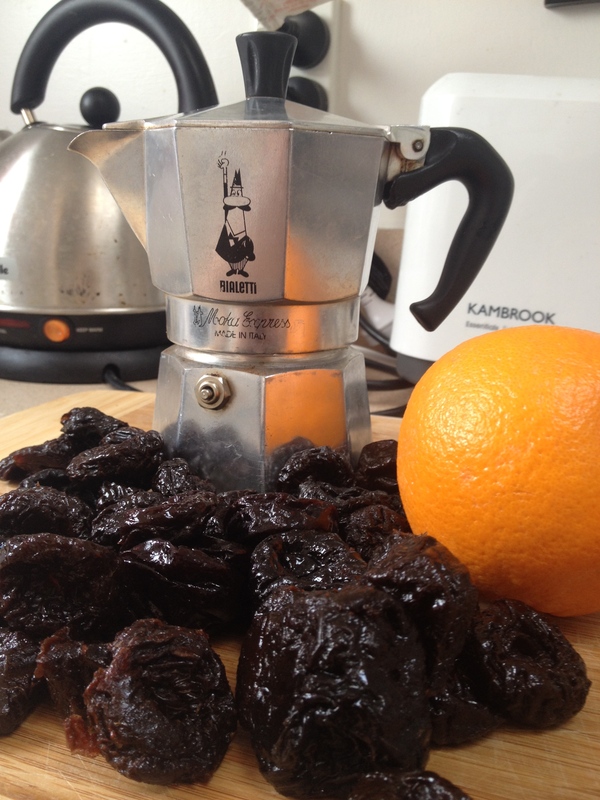 Add the orange juice, zest and the espresso coffee, and stir all ingredients together. Pour the cake batter into a 23cm round cake tin. Bake for 50 minutes until a skewer inserted into the middle comes out clean. Cool on a cake rack. 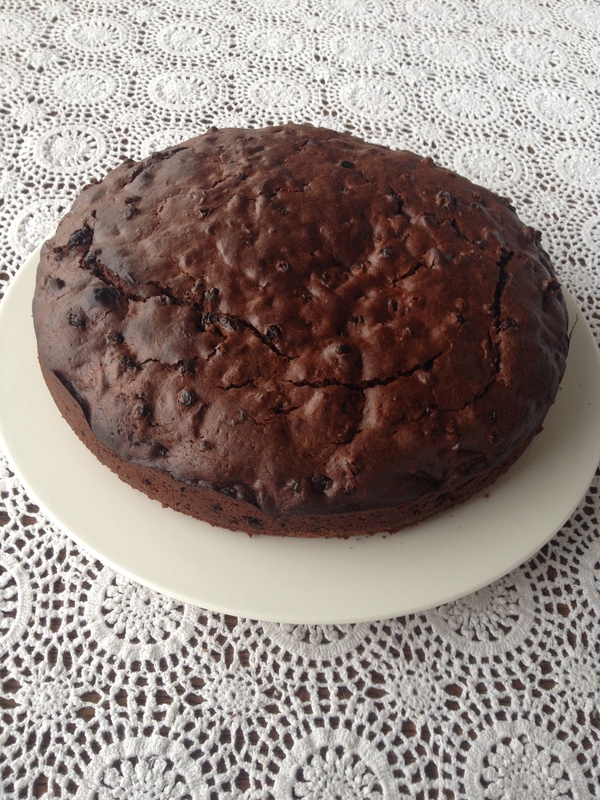 It was a privilege to sample this delicious cake – I can certainly recommend the recipe! Thanks Sophie! I like the idea too, and the bit where it means you get to eat cake is also pretty good!